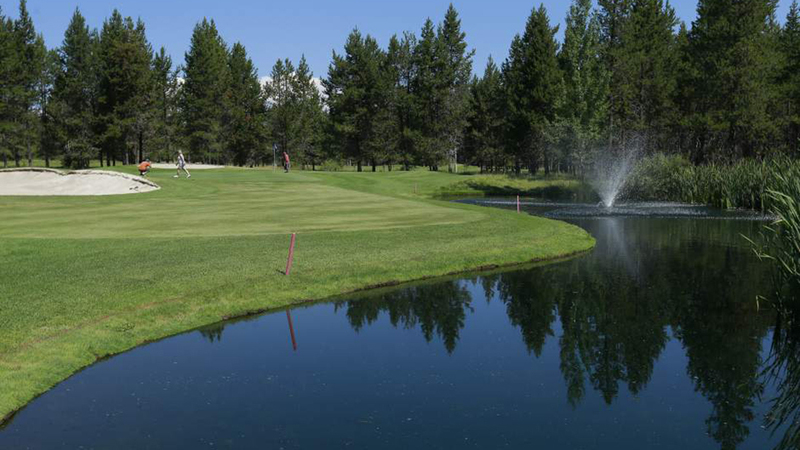 Quail Run Golf Course is a beautifully maintained 18-hole facility in La Pine, south of Bend, that features 4 sets of tees ranging from 5,400 to more than 6,800 yards. Prepare yourself for an unparalleled golfing experience on the course, a pleasure for golfers of any skill level to play. Quail Run Golf Course will challenge you while providing a relaxing, picturesque backdrop where you can test your accuracy with their fairways, water hazards and sand traps. Their goal is to provide you with a quality experience that includes exceptional service and a comfortable atmosphere along with everything you need to challenge you and improve your game. Quail Run Golf Course provides one of the most user-friendly practice facilities in the region. All grass practice tees and a short game area with sand and putting green provide you with everything you need to improve your game from putting to full shots. Browse the fully stocked Quail Run Pro Shop before or after your round for the latest in golf clothes, shoes, clubs and accessories.